The true value of a TMS will vary depending on your organization's size and depth of treasury responsibilities. What is common among treasury teams, however, is the CFO's requirement to protect the organization's financial assets and the Treasurer's need for visibility and control to meet these demands. Treasury management solutions, especially cloud solutions, enable treasurers to provide a higher level of risk management, including disaster recovery and business continuity planning; strategic cash forecasting, and improved currency exposure management. 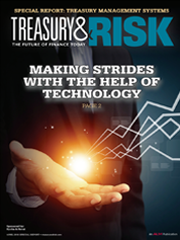 Find out more in Treasury & Risk's special TMS report the benefits of a TMS, beyond the basics of time savings and productivity.